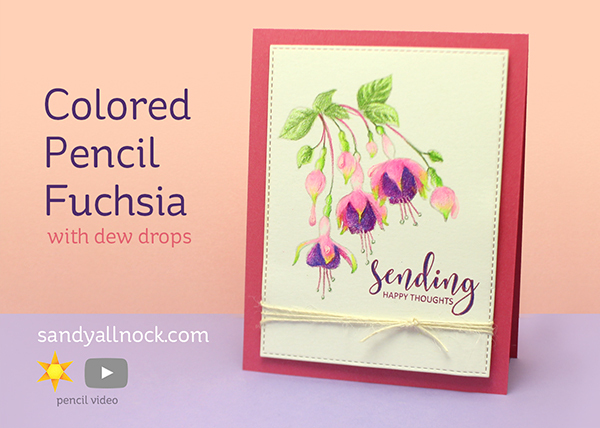 This video is another *slight* stretch for World Watercolor Month….coloring water drops in pencil! I know, I know. But sometimes ya gotta do what ya gotta do, right? Watch the video below or click HERE to see it in HD on YouTube. The colors for this image….all Prismacolor. The glossy accents makes the drops really look wet…. Gorgeous Fuchsia’s Sandy and I love the simple way you made those awesome dew drop. 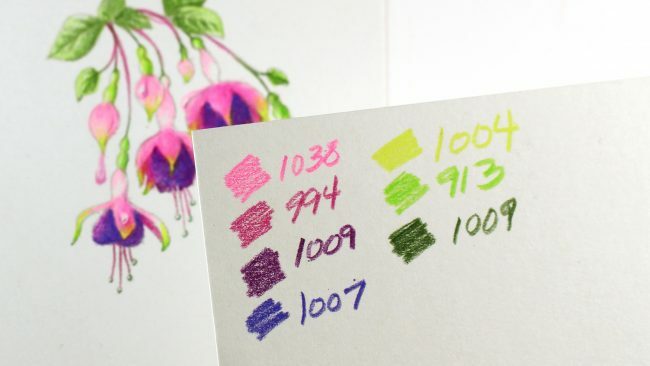 Can you tell me what type of paper you were coloring? I can’t find it in the supplies list yet you said it in your video. Love your amazing coloring skill.